A stunning 14ct white gold band featuring diamonds totalling 0.23ct. Perfect as a wedding ring, this enchanting ring is a beautiful celebration of your love. 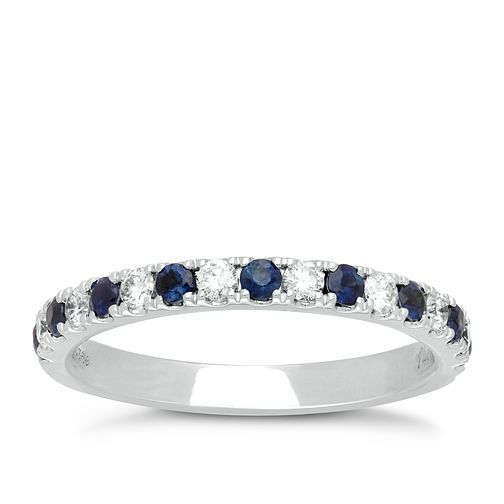 Neil Lane 14ct White Gold Sapphire and 0.23ct Diamond Band is rated 5.0 out of 5 by 1. Rated 5 out of 5 by Anonymous from It is absolutely stunning! The blue is so bright and beautiful Amazing!!! So in love with this ring! I can’t belive how blue the stones are!